"Hate-watching"—watching something you dislike for the oddly enjoyable/satisfying/fun experience of hating on it—has become a staple of our media times. I am typically a literary purist, holding a book as the one true form of a given story and nitpicking changes to the story on the big and little screens. "Hate-watching" is my usual mode when it comes to movie and television adaptations. So The Handmaid’s Tale has surprised me; or, I should say, I have surprised me in my reaction to watching Hulu’s original series adaptation of Margaret Atwood’s dystopian classic about a theocratic society in which [**overall premise spoiler alert**] fertile woman are forced to bear children for societal leaders and their infertile wives. The book, written in 1985, depicts a near-future society to that time; the show has been updated to modern day and has made a number of distinct changes. And I have to say… I like it. A lot. The show addresses some reservations I had about Atwood’s original telling. 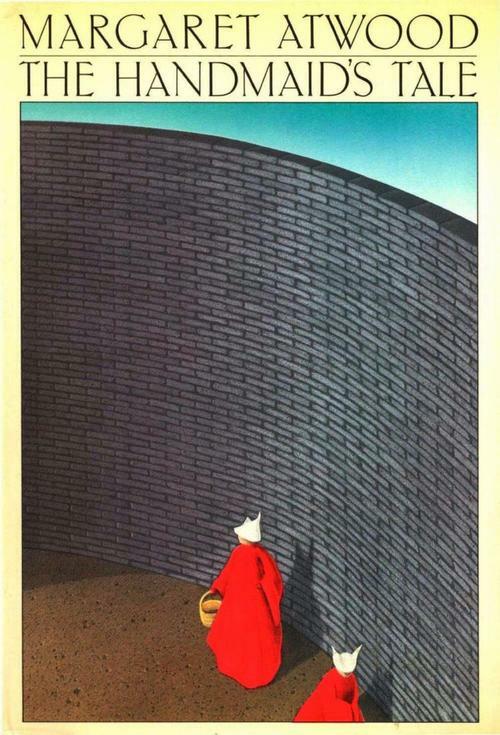 When I first read The Handmaid’s Tale, knowing only that it was a dystopia, I expected it to follow the general outline of other genre standouts (1984, Brave New World, Fahrenheit 451)—protagonist lives in and, to some degree, participates in a society in which rights are limited in some way, ostensibly for the greater good; protagonist somehow awakens to the injustices of that society; protagonist learns of others who disagree with the establishment, and at least tries to join them; the world lives on, but perhaps with a little dent in it. 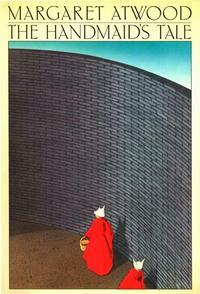 Offred, the Handmaid whose tale the book illuminates, mostly stops short at learning that a resistance exists. There is a small shred of hope at the end that she ultimately escapes, but her character is mostly passive throughout. She expresses sadness and frustration, but there is not a deep, pervading sense of anger. In contrast, the show’s Offred, as portrayed by Elisabeth Moss (of Mad Men fame), is seething. She uses passivity as a tool to gain whatever shred of power she can—if she appears meek and acquiescing, she is granted certain freedoms and allowances. The moments in which the viewer sees her face visibly shift, removing this mask of passivity to reveal pain and purpose, have added an appreciated depth to her character. And as she moves closer to becoming part of the resistance, she channels the viewer’s anger at this society as much as her own. Other characters also get more of a spotlight than they do in the book. Viewers get some backstory on driver Nick, husband Luke, and even the main subjugators Commander and Mrs. Waterford. We also get glimpses of other characters’ struggles, mainly Ofglen (portrayed by Gilmore Girls' Alexis Bledel)—a handmaid who in the book disappears, presumably after committing suicide—and Janine—a handmaid who successfully has a baby and must then give her up. Getting additional perspectives gives a fuller—and ever-more chilling—picture of the world of Gilead. In an interview with Entertainment Weekly, Margaret Atwood explained, "We can go behind the scenes and follow characters we can’t follow in the book because [Offred] can not know what happens to them." 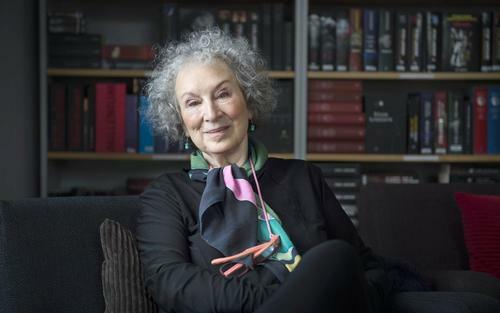 Atwood has been involved in the production of the series, which also makes changes more palatable—since she created this world to begin with, if she condones alterations and additions, they feel more ‘true’. The series is even considering a Season 2, which would extend beyond the scope of the novel. Atwood has said she would likely be even more involved, "because we will be in uncharted territories so more invention will have to take place." Many have called this the show, more than any other, for our time, exploring as it does the extreme of what happens when women's bodies are not in their own control and the right to protest is squashed. It is hard to miss the show's political commentary, but what keeps me coming back is the quiet suspense. Given that I largely know what is coming, plotwise, from having read the book, it is a true testament to the show's success that I am still so riveted as the plot unfolds. The show's success lies more in the how of the telling that the what. The season finale airs on Hulu this Wednesday, June 14. After that, although binge watching may tempt you, lead actress Elisabeth Moss cautions otherwise: "You may need a second to step back and think about what you’ve seen." Hulu's new series adapts Margaret Atwood's dystopian classic for the modern day. Tghis is why I got rid of HULU. The games they play with the seasons. This is truley the best show they ever produced but the games they play make you just say forget it and move on to something else. Thank goodness for Netflix and the many other streaming services.